Just want to note that you can slightly bend the leads using pliers to fit a .1" pitch breadboard across its center line. how can i calculate a current sensing resistor, and is it mandatory ? It work with Brushless motor? Why is there a link on a ASCII image of the board? For those who can't find it, it's just below the 4th image. Probably for someone using a text browser like w3m or lynx. Do you need to use schotky diodes on this still? All of the circuits I've seen with this chip do? This board is double sided. Does that mean that I have to solder both sides or just one? Just one. 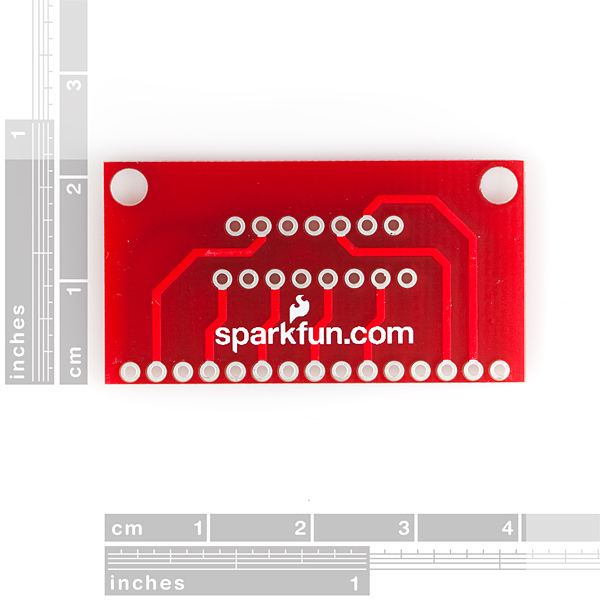 Generally you'll you put the IC in, flip it over and just solder on the bottom side of the board (the side with the sparkfun logo on it). The vias go all the way through the board. 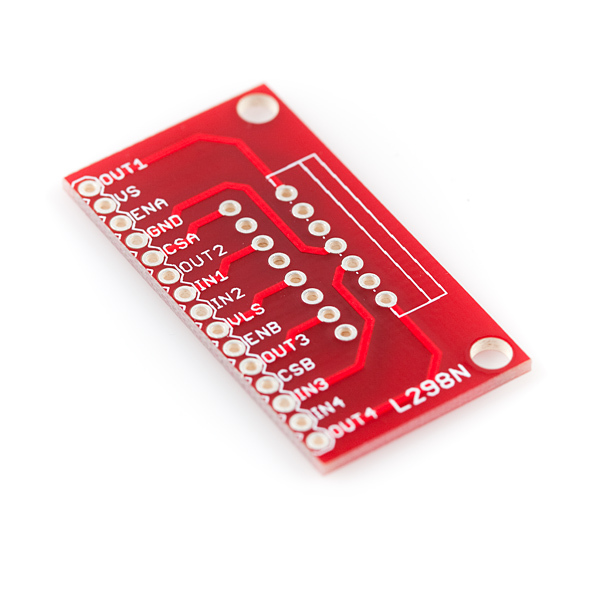 Wiring the L298N into a circuit without the breakout board was very difficult to do without errors. A 15 pin socket would be even easier. ............if the in line pins corresponded to the multiwatt pins I.E. pin 1 to pin 1, pin 2 to pin 2 etc. It is a breakout board, it works. I would have rated it higher if there were a few more soldering places for headers. Only having the one connection point for each pin means you have to jumper it off board. 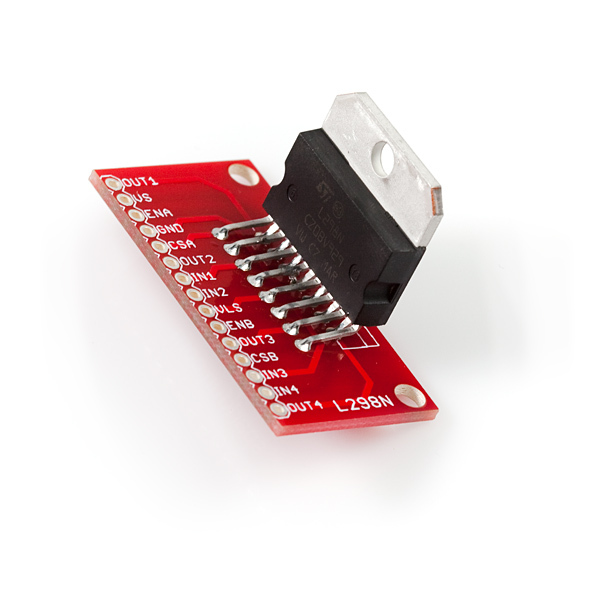 If you want to bridge the L298N or add protective diodes to the outputs, you need an additional board. Yes, it is a breakout board. Yes, it works. The price is fair and the quality is good. An additional 2 rows of 15-pin 0.1" header pads would be ideal. An additional suggestion, move the mounting holes left about 2-3mm and shave off the extra board on the right, so you can mount the multiwatt package and board flush to a heatsink surface.